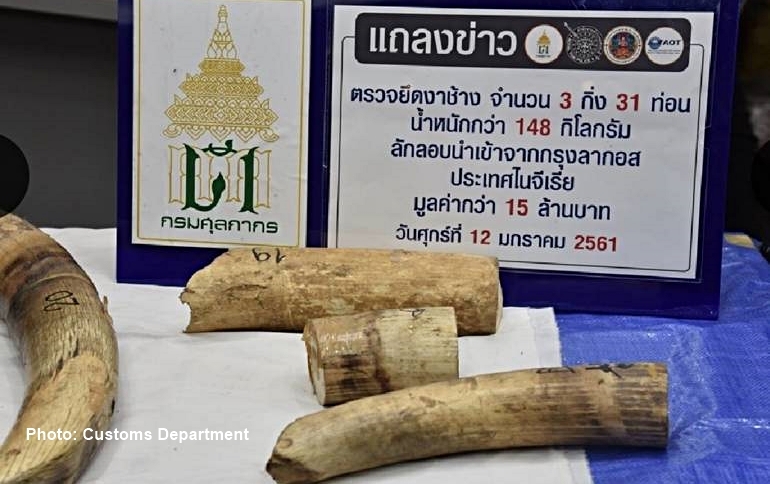 Customs officials have seized 31 pieces of ivory tusk worth about 15 million baht which originated from Nigeria and laid unclaimed at the cargo terminal of Suvarnabhumi international airport since its arrival in Bangkok on Dec 20. Speaking at a press conference on Friday (Jan 12), Chaiyuth Khankun, the deputy director-general of Customs Department, said customs officials on Dec 20 impounded three crates of goods declared as “general products”, weighing about 175 kilogrammes originated from Nigeria’s Lagos airport and offloaded from Ethiopian Airlines flight ET618 at the cargo terminal of Suvarnabhumi airport. He said initial checks of the three crates showed the goods inside looked like pieces of ivory tusk. He added that the address shown on the crates was nonexistent apparently intended to distract officials from prying into the crates. The three crates were then impounded while officials awaiting for someone to show up to claim the crates. 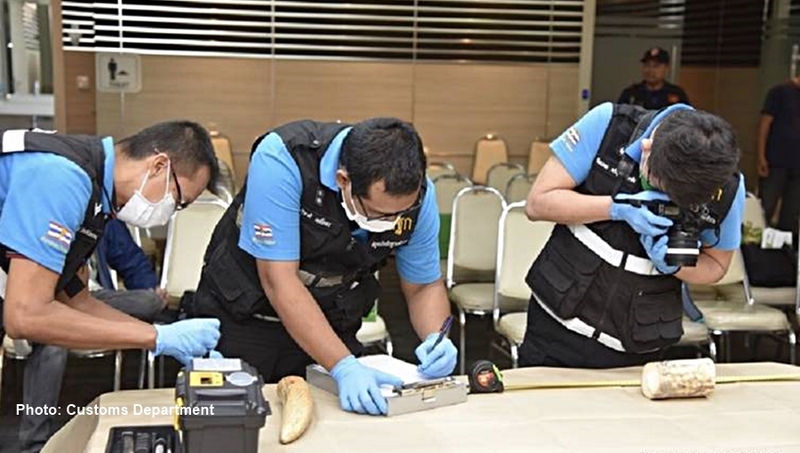 When it was sure that no one would claim ownership of the crates, officials decided to break open the crates in which they found 31 pieces of ivory tusk weigh about 148 kilogrammes estimated at about 15 million baht wrapped in foil paper and contained in green bags. 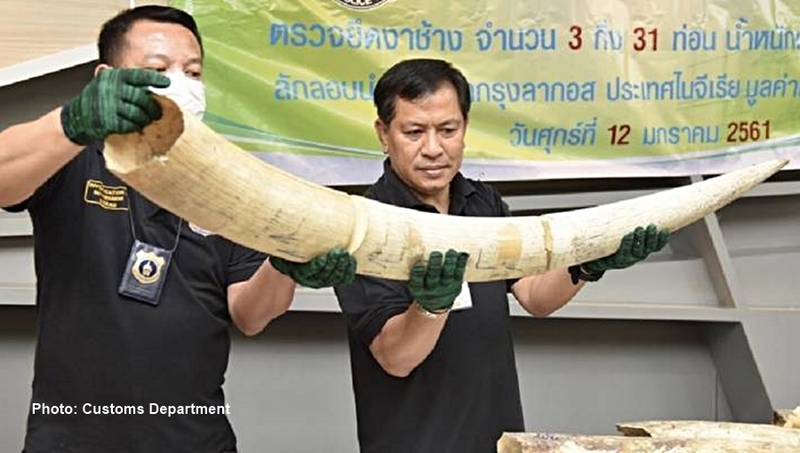 Mr Chaiyuth said ivory tusks were often smuggled into the country from Africa or South Africa but falsely declared as local products to avoid scrutiny.